Beware strangers bearing gifts. Or bearing you a possibility that you’re not the last of your kind. 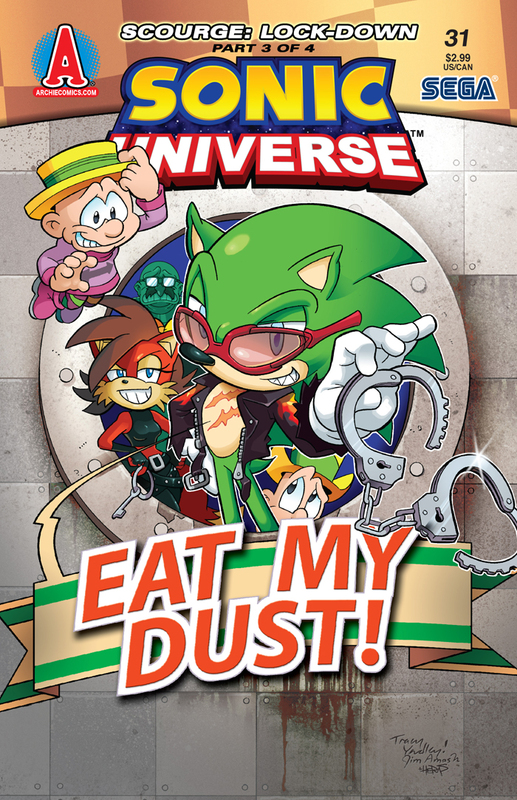 The preview for Sonic Universe #88 has been released and things are only getting more suspect in this issue! 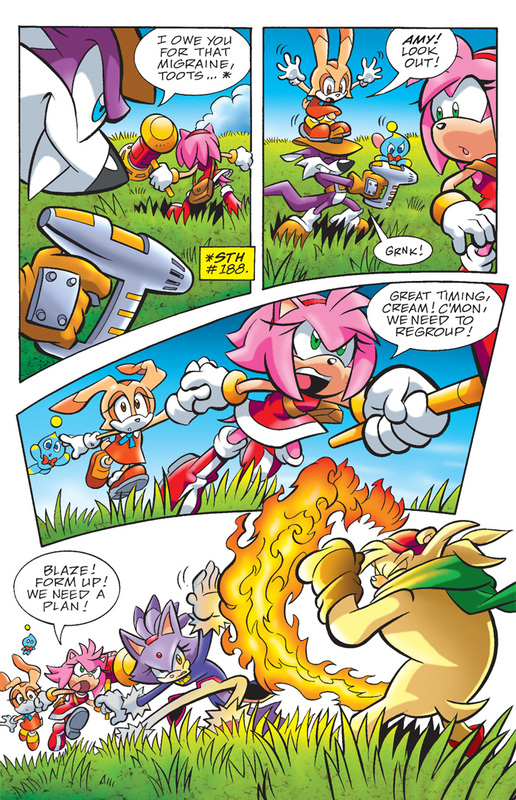 Amy and Rouge find themselves having to fight their way out of trouble, and what’s happened to our favourite walking arsenal Omega? The final pieces of the puzzle are falling into place in the Master Emerald hunt! 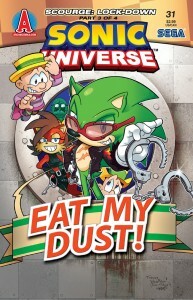 Sonic Universe #87 is coming out next week, and the preview has been released. 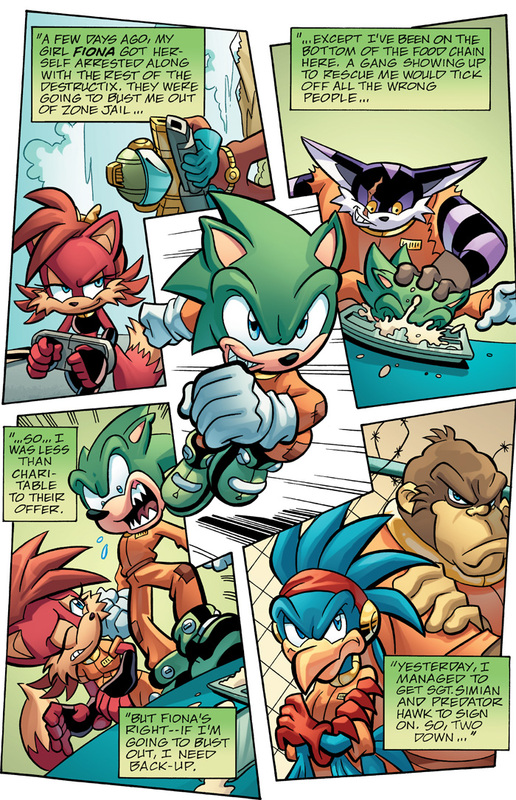 The Shattered World Crisis is close to being resolved…which means Knuckles has to go even faster if he wants to save Angel Island! With Amy along for the ride as well, they’re both working to find those remaining lost shards. 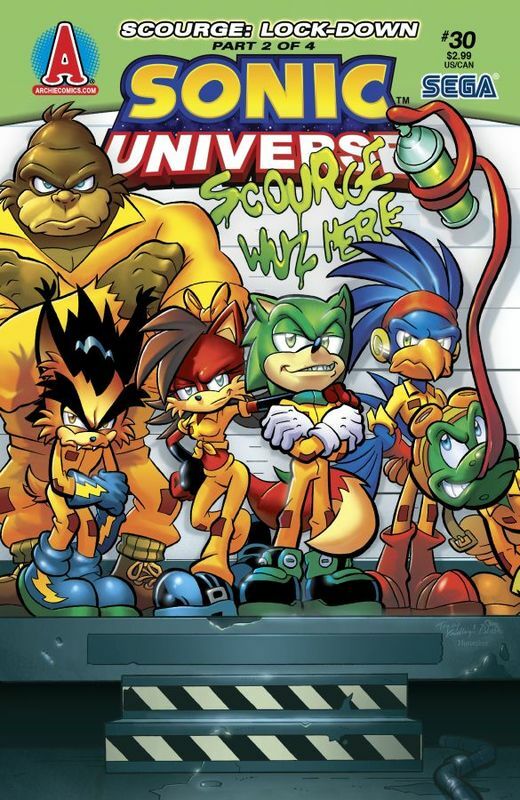 It’s time to turn up the heat for the next instalment of Sonic Universe! 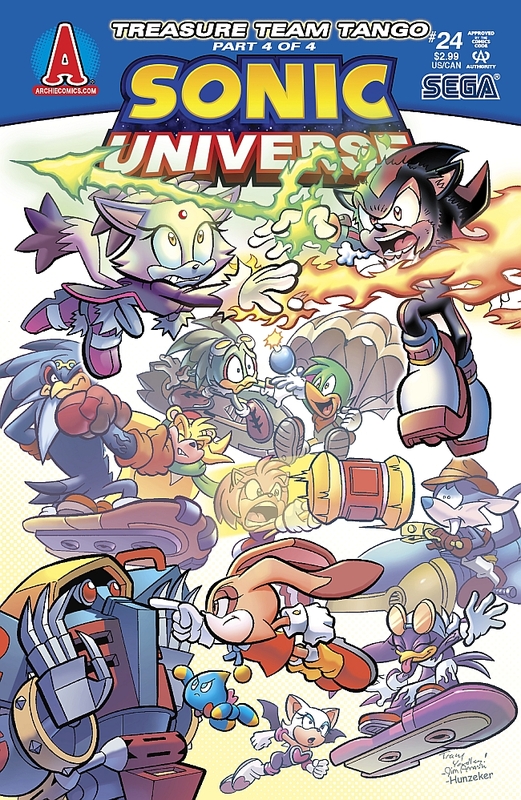 Sonic Universe #85’s release is just around the corner, and the preview for it has officially been released! 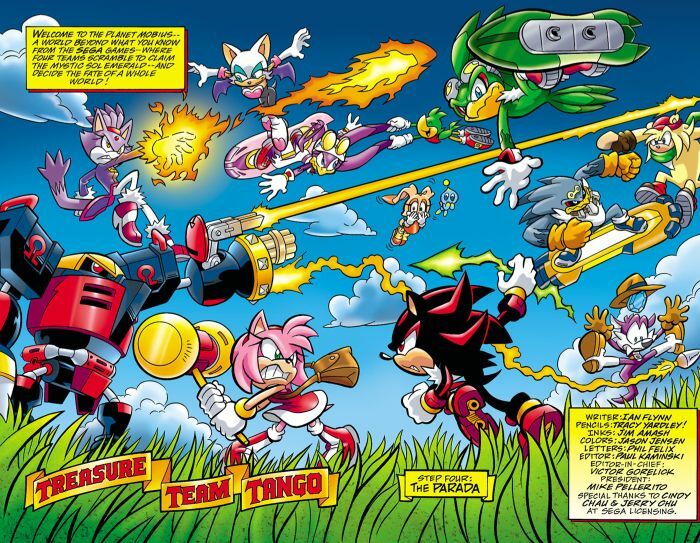 Eggman’s hot under the collar thanks to Dark Gaia Monsters, and his team aren’t faring much better from the Naugus Twins’ perils and traps! 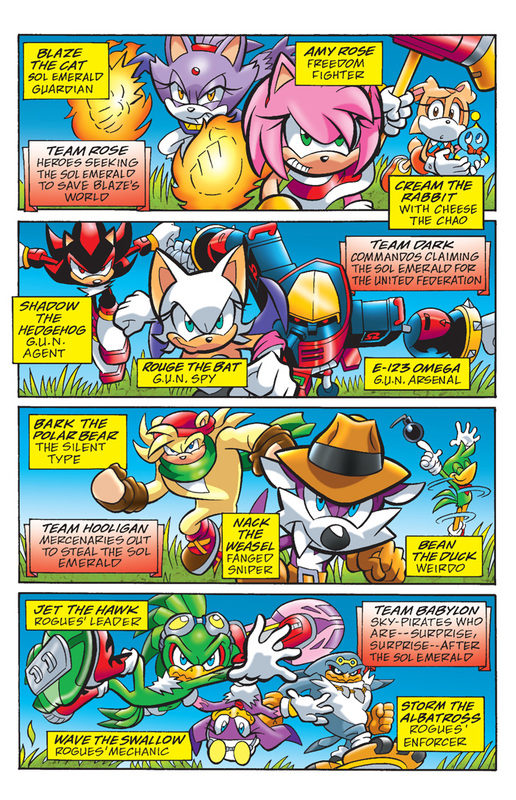 It’s time to formulate the master plan in this month’s Sonic Universe! Make way for the man with the plan! Welcome to the TSS premiere of Sonic Talk! We’ve moved our show from Segabits to here at the Sonic Stadium. Sadly this episode is very late but great and worth the wait! 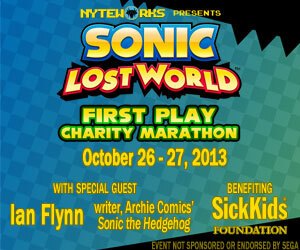 In this comic book heavy episode, we get a nice, long interview with Sonic comic book scribe Ian Flynn! We talk about the Sonic/Mega Man crossover,”World’s Unite”, the recent Sonic story arcs, writing comedy for Sonic Boom and a little behind the scenes on the reboot. Meanwhile, Alex gives his final two cents on a previous Sonic writer who shall remain nameless, but you can probably guess who. All this and more in the first Sonic Talk on Sonic Stadium! 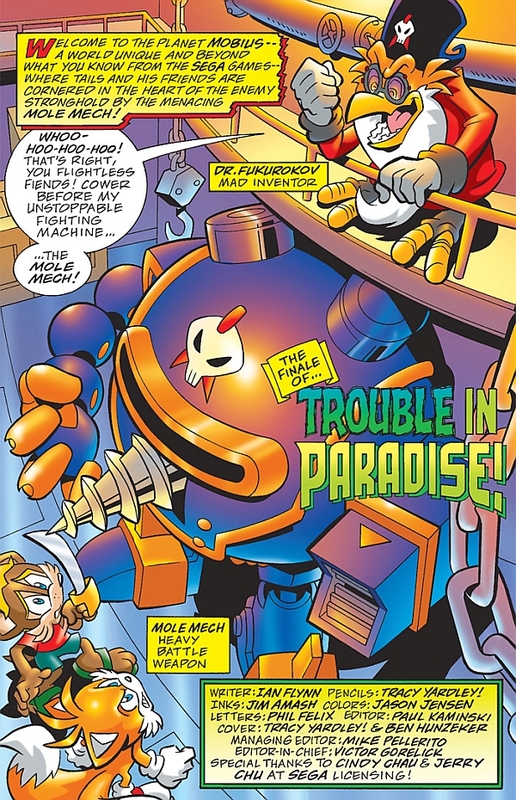 Tracy Yardley gets to write his first story arc since Sonic X in a tale that starts out with the Babylon Rogues in a dangerous race against the Battlebird Armada to find the lost Babylon Garden, their ancestral home. But as the story takes a huge twist involving Sonic, does it become too epic for it’s own good? Kinda, yea. Keep reading. Wondered where our artistic friend Elson ‘Darkspeeds’ Wong had gone? Turns out he had bunkered down for many weeks working on a brand new Sonic fan project. 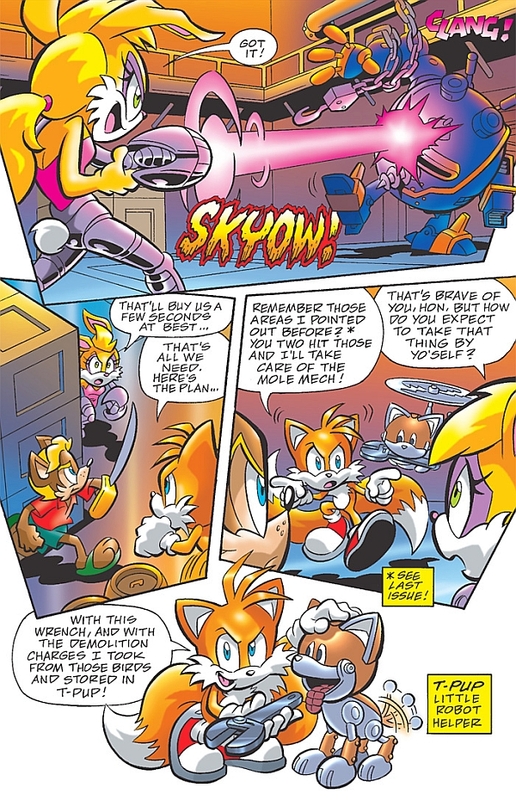 Turning his hand to animation, Elson has brought Archie Comics’ Silver Saga from Sonic Universe to life with sound effects, camera pans and original artwork to complement the action within the frames. 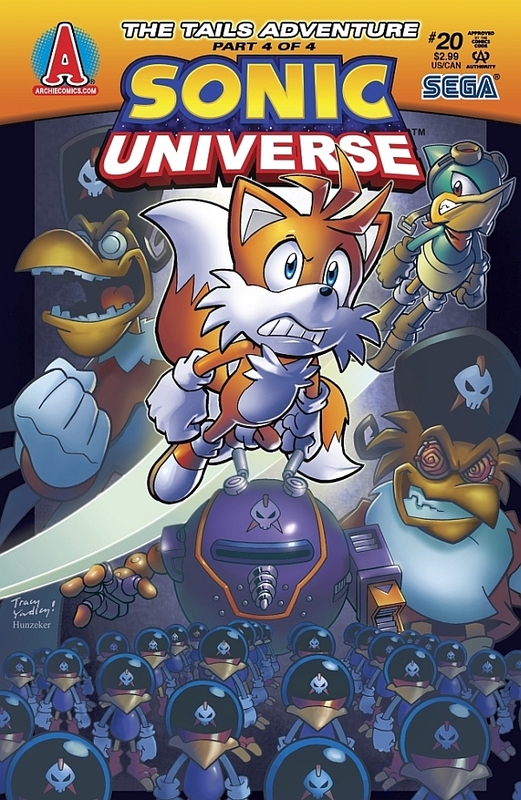 Seems shipping problems caused the next issue of Sonic Universe #24 to be a week late. Nevertheless, it’s here and it’s the best (non shipper) fan service a Sonic fan could ask for! 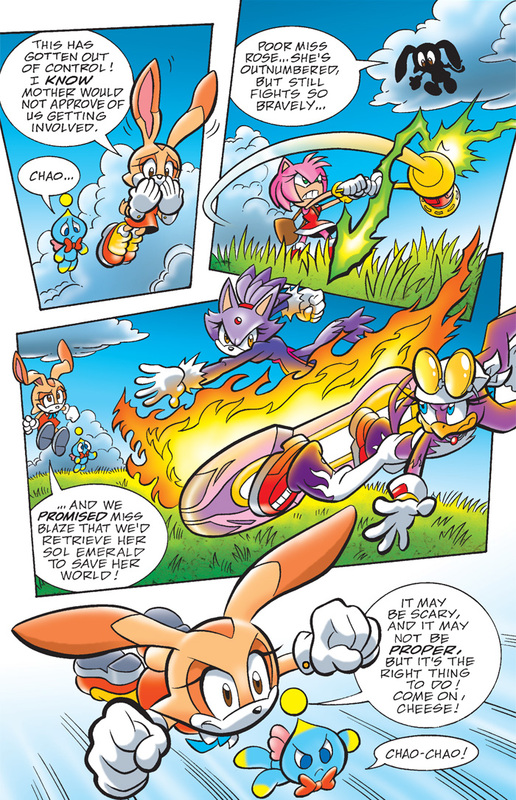 Everyone from Shadow the Hedgehog to Bean the Dynamite are battling it out in this issue, and boy is it fun. Omega fans may be displeased with the ending though, as Omega lets a bit of mushy side out…and there’s also a slightly odd shipping moment I’m not sure anyone saw coming. If I wanted to spoil it I’m not sure what I’d even call it. 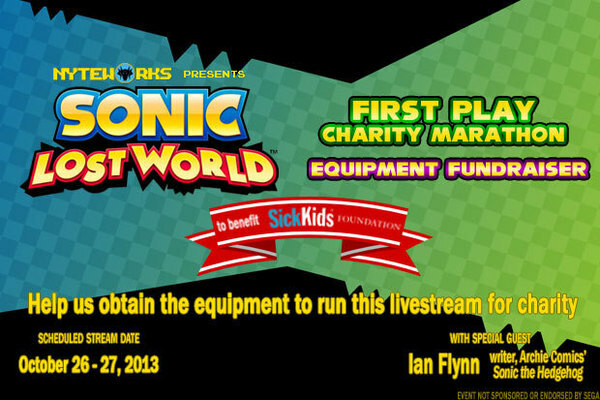 Nevertheless I’m sure there is at least one Sonic fan out there who supports it. In any case, here is the preview! “Treasure Team Tango” Part Four: The wild grand finale to our craziest story yet! Four teams vie for the precious Sol Emerald! Will Team Rose help Blaze save her world? Will Team Dark beat them into submission? Will Nack’s “Team Hooligan” cash it in, or will the Babylon Rogues beat them to it? You can’t miss this blockbuster conclusion! This interview is a dream come true, in all honesty. Patrick Spaziente is a very difficult man to get a hold of. He has absolutely no online presence, and hasn’t done an interview of any kind since 2005, at least from what I’ve been able to find. Spaz is famously reclusive, and until now I didn’t even really know what he looked like. The fact that he was actually at the con is remarkable in and of itself, since Spaz rarely ever even goes to conventions. The fact that he was even there is the whole reason I even asked Selinka to cover the con for us. Even more remarkable is the fact that he let us conduct a video interview, since Mr. Selinka was originally told by Spaz that he wanted to remain “an enigma”. This interview is a huge score for us all, and I hope you will all enjoy it. Coming later tonight, we’ll have the complete Archie panel in HD video for your viewing pleasure, and tomorrow, the most awesome interview of them all….John “Dubs” Gray! 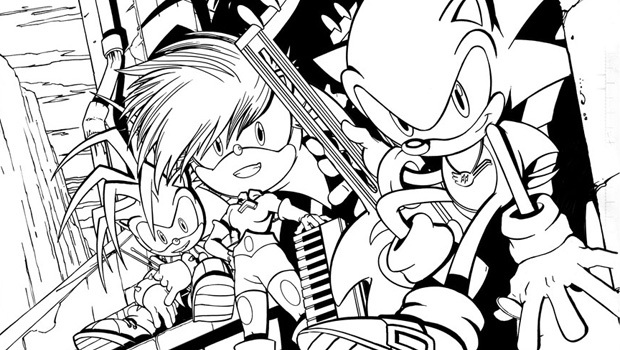 NYCC: Interview with Sonic Editor Paul Kaminski! These videos have been a long time coming, but their finally here! Over the next few days we’ll be bringing you some awesome, in depth interviews with the Archie staff. ECC’s Thomas Selinka was kind enough to take the time out of his day to record these interviews and panels in full HD. First up, Paul Kaminski, the editor for Sonic the Hedgehog, Sonic Universe, and the upcoming Megaman books. Of course, Paul isn’t the biggest interview we got (sorry Paul, we still love you!). Coming up later in the day…the first ever video interview with Patrick Spaziente, the famously reclusive and hard to contact cover artist of the both the Sonic books (well, occasionally these days) and the upcoming Megaman book. We also got some guy called Ian Flynn hogging up some camera space with him, but you don’t care about him, right? 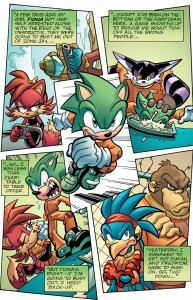 The conclusion to Archie’s “Tails Adventure” story arc, which acts as an adaption to the Game Gear game of the same name, has just hit comic shops today. 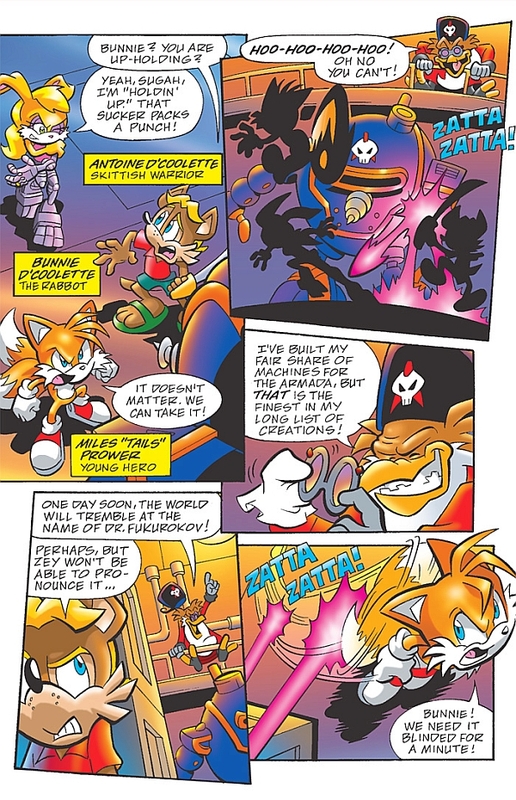 This issue will also be revealing the winners of the “Tails Fan Art Contest”. 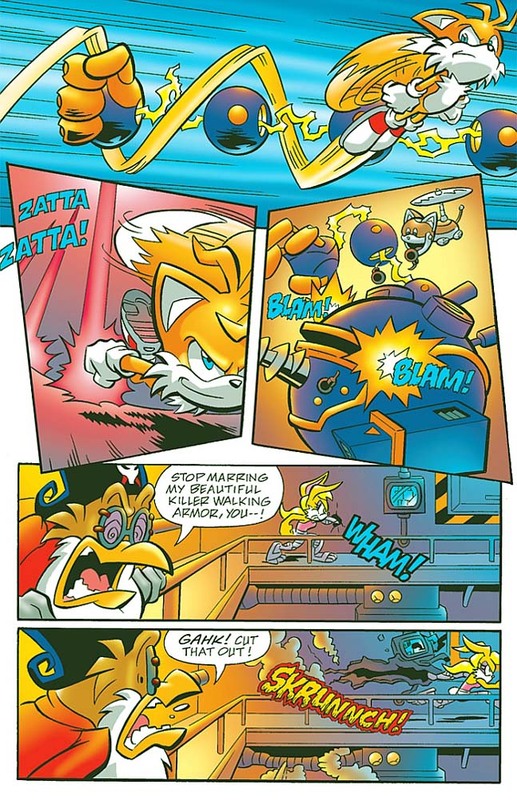 Tails fans might want to take a look at this! 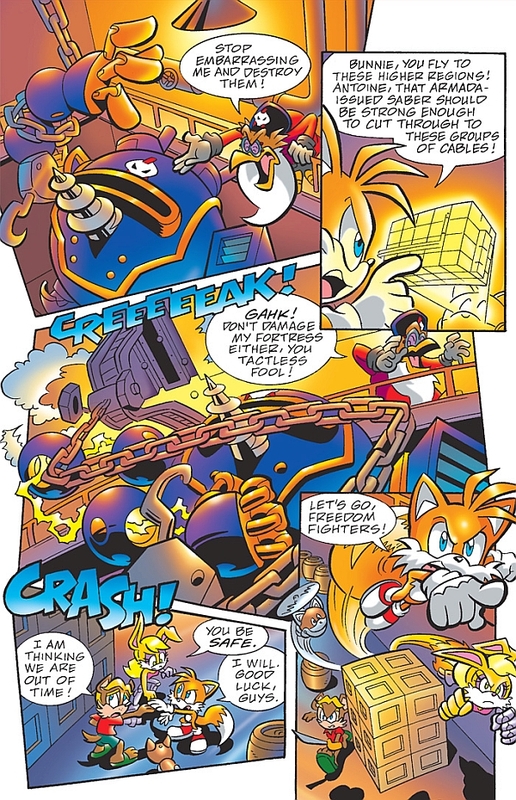 Deep in the enemy base, Tails and his friends fight to survive the assault from the terrible Mole Mech! But even if they come out on top, do they stand a chance of escaping with their lives? Don’t miss the thrilling conclusion!